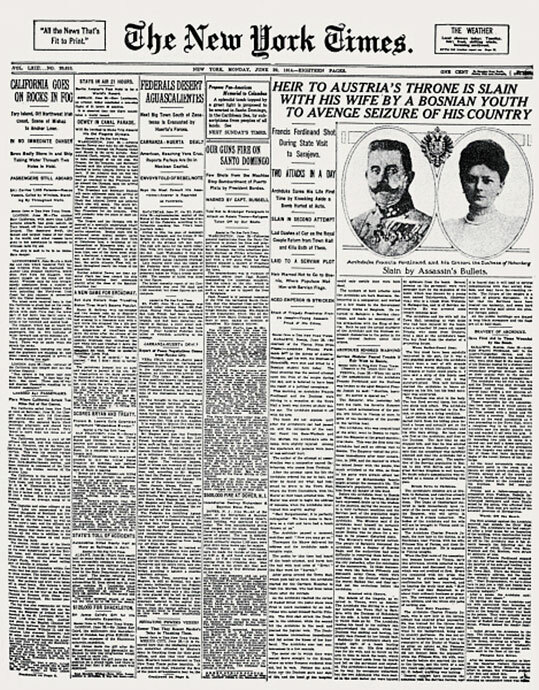 Heir to Austria's Throne Is Slain with His Wife. The New York Times, June 29, 1914. Courtesy The Granger Collection, New York. Escalating belligerence and militarism colored international relations among European nations at the turn of the 20th century. 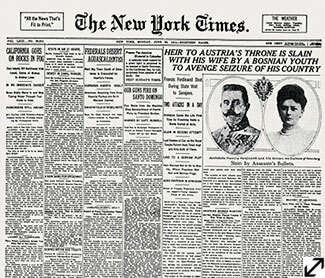 By the end of July 1914, hostilities between Austria-Hungary and Serbia reached a climax and Austria-Hungary declared war on Serbia on July 28. Countries lined up with either the Allied Powers (initially England, France and Russia) or the Central Powers (Germany, Austria-Hungary and the Ottoman Empire). Others, including the United States, declared neutrality. By August the Great War was underway. The Greenwich Press estimated that 100 townspeople visiting Europe found themselves trapped by the outbreak of war. Some managed to sail home with little incident. Others, such as school principal Harry Folsom, had a more difficult time. Before boarding an overcrowded boat that took him from Belgium to England, he had to abandon his luggage. Greenwich and Its Attractions, c. 1915. New York: George W. Richardson The McConnell Press, Inc., New York. Greenwich Historical Society, William E. Finch, Jr. Archives. The publication Greenwich and Its Attractions provides some insight into life in Greenwich shortly before the outbreak of war in Europe. 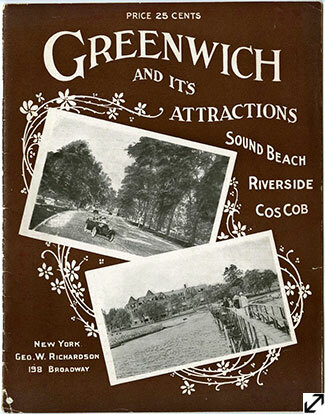 In the 1910s Greenwich possessed a small-town and rural quality even as it was part of an expanding metropolitan region. Advancements in transportation made it easy for people and goods to move between Greenwich and New York City and beyond. The town possessed an ethnically, economically and politically diverse population of about 21,000. Recent immigrants from Italy and Central Europe worked at its factories and on public and private construction projects. Greenwich enjoyed a national reputation as a town with a rich Revolutionary War past as well as a scenic place where the well-to-do vacationed.